MV: How many basketball fans are out there? Do any of you want to play basketball? 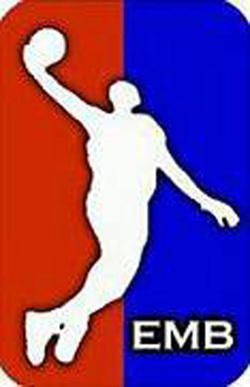 Well in NY there is a basketball league that started about late November. The league is named Elite Muslim Ballers or EMB for short. said by them on their Facebook page that “it provides Muslim youth a platform by which they can showcase their basketball skills in an Islamic environment.” Currently the league is led by the team One Ummah with 7 wins and no losses. The standings are listed below. They also have a website that shows standings, player info, statistics, scores and recaps of all the games. Not only do they have information about the league, they have a section based all on Islam that has videos on certain topics and a Hadith of the Week column on their homepage. The website link is http://elitemuslimballers.com. If you want to watch the highlights of any games just visit their YouTube page:http://www.youtube.com/user/elitemballers. Inshallah I encourage more Muslim youth to take part in activities like this so they can have fun and stay in a good environment. The peach baskets were used until 1906 when they were finally replaced by metal hoops with backboards. They posted a record of 522 wins and only 20 losses over that span as they met any team which wanted to challenge them funding their tours from gate receipts. Perhaps the most legendary of high school teams was Indianas which took the nation by storm during the 1920s dominating Indiana basketball and earning national recognition..Today virtually every high school in the United States fields a basketball team in competition Basketballs popularity remains high both in rural areas where they carry the identification of the entire community as well as at some larger schools known for their basketball teams where many players go on to participate at higher levels of competition after graduation. salam…niced your post, i love that.. Previous Previous post: Set Sail on the Salaam Cruise!